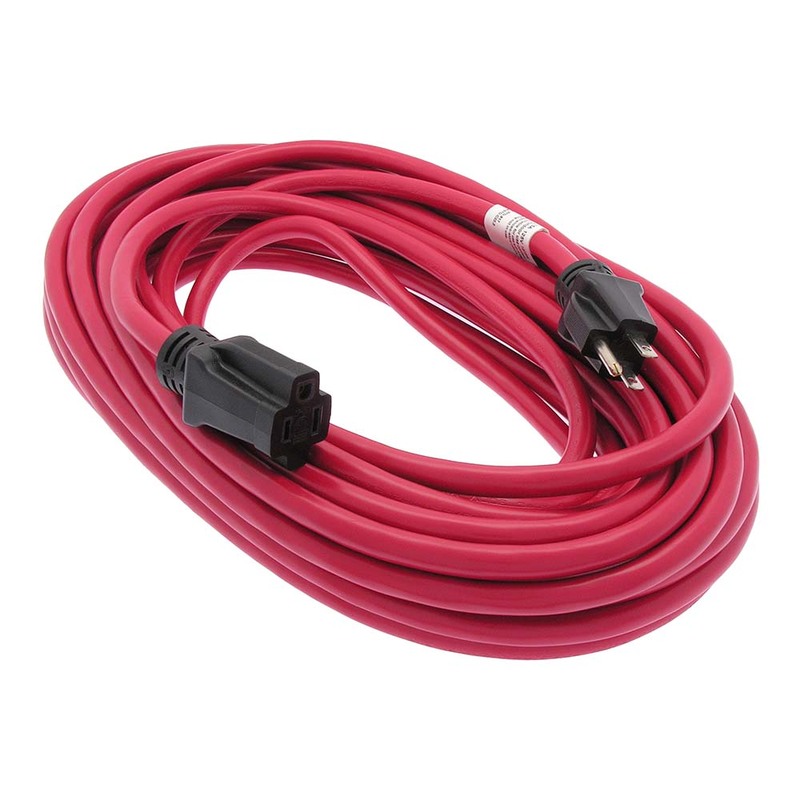 This heavy-duty 12 gauge(AWG) power extension cord is perfect for providing power to electric gardening equipment, power tools, yard decorations, and much more. SJTW-rated for use indoors or outdoors. Water resistant and flame retardant outer jacket is ultra flexible and abrasion resistant. This 50 foot cable's jacket is red in color and features nickel-plated brass blades to resist corrosion from the elements.